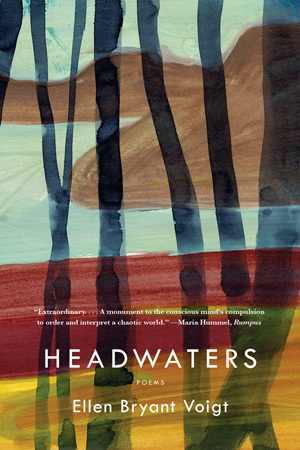 Rash yet tender, chastened yet lush, Headwaters is a book of opposites, a book of wild abandon by one of the most formally exacting poets of our time. Animals populate its pages—owl, groundhog, fox, each with its own inimitable survival skills—and the poet who so meticulously observes their behaviors has accumulated a lifetime’s worth of skills herself: she too has survived. The power of these extraordinary poems lies in their recognition that all our experience is ultimately useless—that human beings are at every moment beginners, facing the earth as if for the first time. "Don’t you think I’m doing better," asks the first poem. "You got sick you got well you got sick," says the last. Eschewing punctuation, forgoing every symmetry, the poems hurl themselves forward, driven by an urgent need to speak. 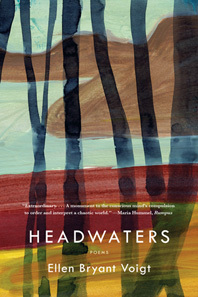 Headwaters is a book of wisdom that refuses to be wise, a book of fresh beginnings by an American poet writing at the height of her powers.